The instruction seems utterly straightforward: work 20 rows. Or the equally unassuming: work in stockinette stitch until piece measures 10 inches. 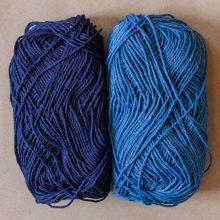 As with so many things in knitting, it’s entirely simple, yet still the source of debate. It’s exactly the sort of thing that seems so completely obvious when you’re just starting out that you don’t actually think to ask about it. So you just do what makes the most sense to you. And keep doing it. Until, a couple of years later, you find out that someone else does it completely differently. 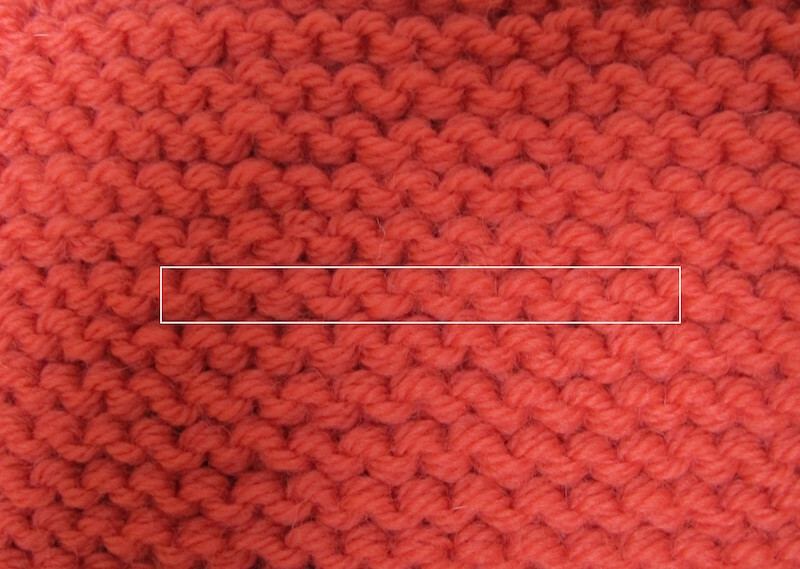 Let’s answer those most basic questions: how do you count and measure knitting? This column will cover counting. Stay tuned for my next column: measuring. Why do I specify “in fabric?” Because counting stitches that are on the needle is exactly what it sounds like: you count the loops. You’ll be pleased to hear that no further direction is required on this score. You can count either shape: it really doesn’t matter. For an accurate count, just make sure you’re consistently counting the same shapes: either only the downward OR only the upward pointing Vs.
You’ve got both upwards and downwards-facing loops, the stitch and its half-offset, upside-down neighbor. Again, you can count either shape—but you should count only one. 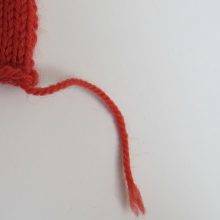 If you find yourself in the position of having to count purl stitches in a ribbing or reverse stockinette fabric, flip the fabric over and count the knits. Much easier! 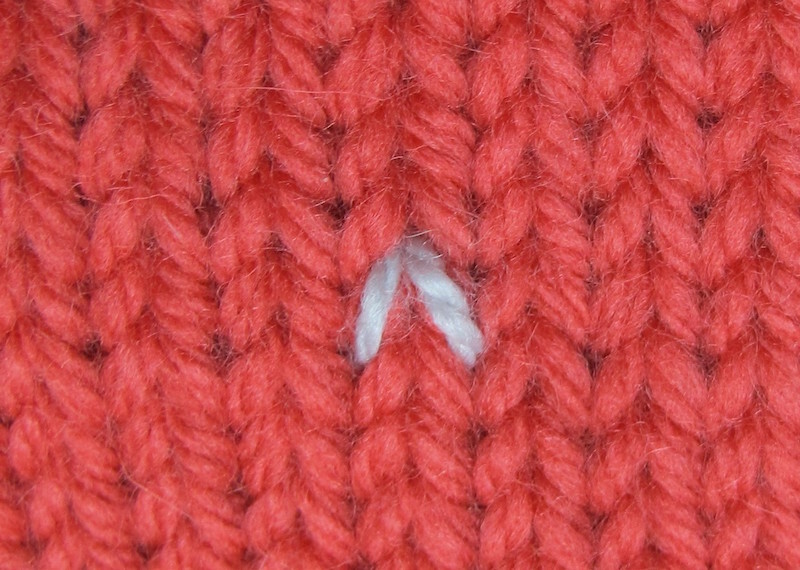 In a garter ridge, the downward-facing curves are the tops of one row’s stitches; the upward facing curves are the bottoms of the stitches from next row up. 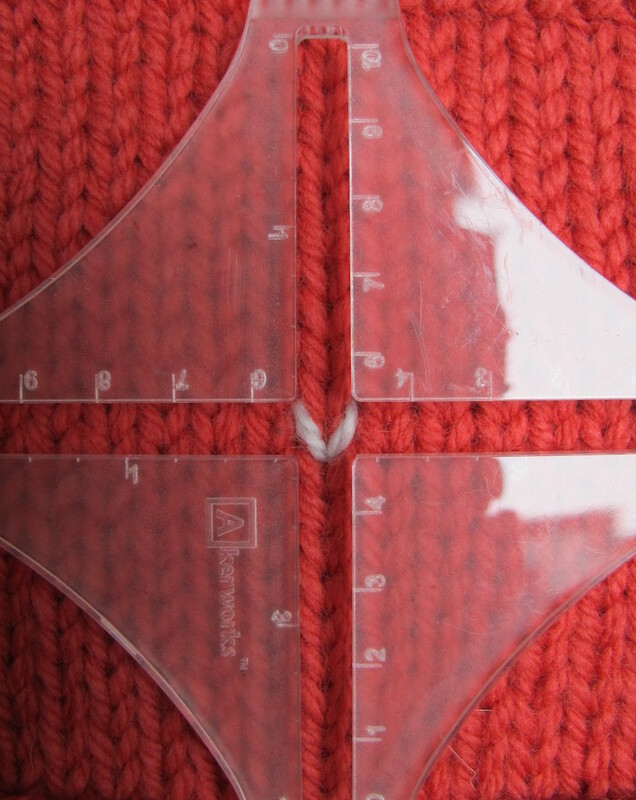 For an accurate count of the stitches, choose one direction of curve and count only those. 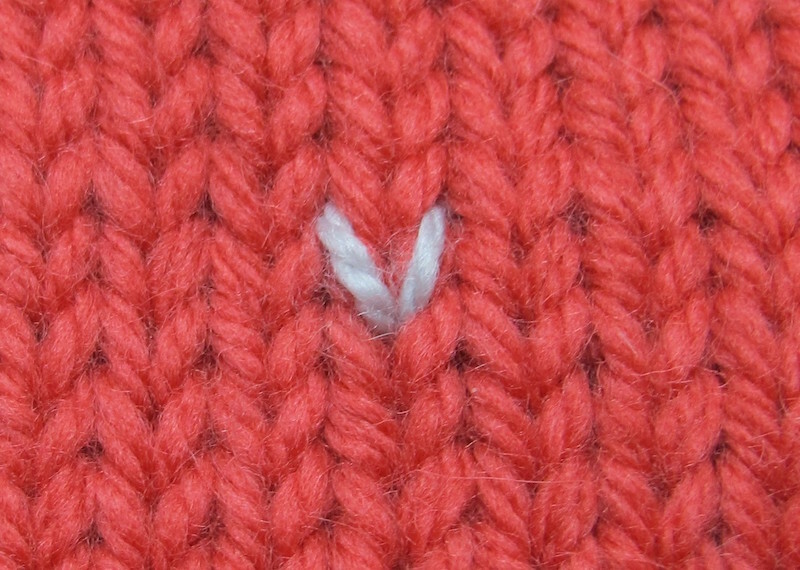 If you’re working stockinette-based fabric, or at least a fabric that has some columns of knit stitches, like a ribbing, then you count the Vs of the knit stitches, vertically, going up and down. To count rows in a reverse stockinette column: just flip it over and count the knit stitches. 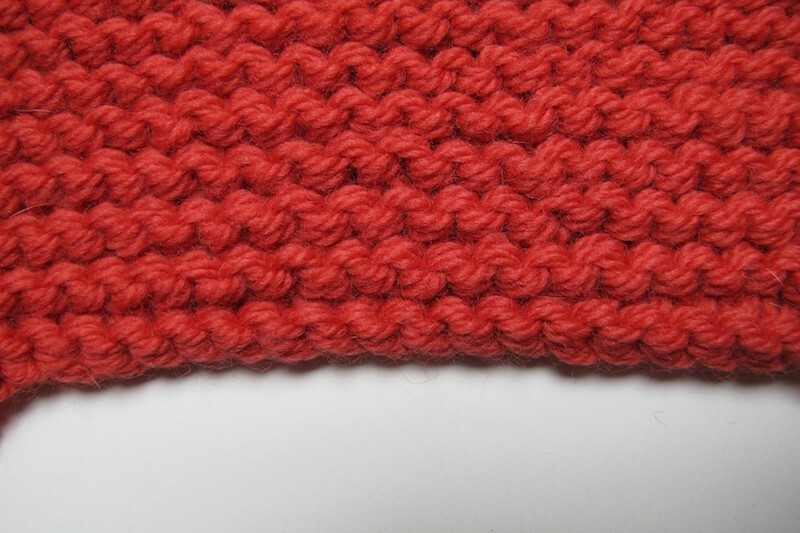 If you’re working garter stitch, it’s pretty hard to count individual rows, because the fabric compresses vertically. So we don’t. 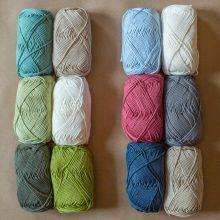 We count ridges: each garter ridge counts for two rows. Weird subtlety/controversy #1: If you’re counting rows in a fabric that’s on the needle, in a WIP, don’t count the stitches that are on the needle. Actually, what you shouldn’t be counting is the “row” formed by the cast on. The cast on doesn’t count as a row. But it’s easier to count all the rows in the worked fabric, below the needle, and just not count the loops on the needle. Some may disagree with me. It doesn’t matter, as long as you are consistent within your own work. 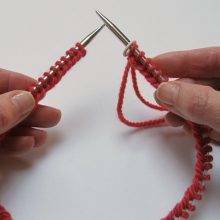 I look at it as follows: if I’m told to cast on 10 stitches, and work 10 rows, and I count off my rows as I work, I start counting with the first row after the cast on. Working 10 rows gives me 11 stacked loops – including the one on the needle—one of which corresponds to the cast on. So just count the loops below the needle, right down to the bottom. Weird subtlety/controversy #2: I glibly remarked above that one garter ridge is two rows. And that you don’t count your cast on if you’re counting rows. But there is one exception to this. 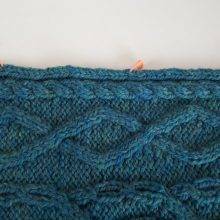 If you use the Long Tail cast on method, and knit the first row (working flat, not joined in the round), then your cast on edge looks like a purl ridge. And if you’re counting garter ridges, there’s no reason why you shouldn’t count that to be your first ridge. In fact, it’s advisable. 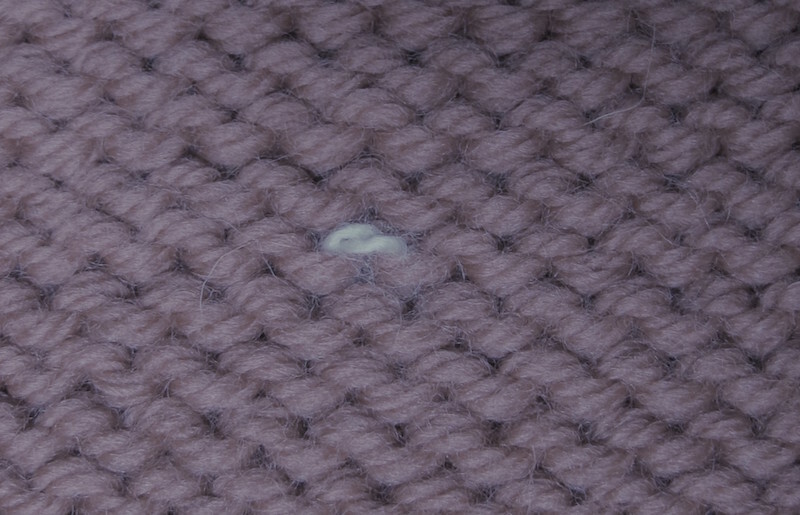 It creates a clean and tidy edge, where the cast on disappears into the fabric. 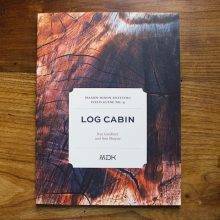 This is what is recommended in the Mason-Dixon Knitting log cabin patterns! But this nuance relies on the properties of the Long Tail cast on. When working the Long Tail, you’re creating knit stitches, and on the back side—the side you’re looking at when you start to work the first row—you see purl stitches. 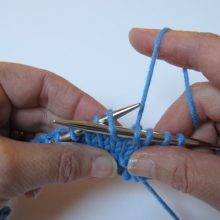 If you use another cast-on method—the cable, or the knitted-on method, for example—then the edge is rather at odds with the garter fabric. Top: cable cast on. Bottom: long tail cast on. The corollary to this is that your bind off can also be used to create another garter ridge: if you bind off knitwise on the WS, it will show as a tidy RS ridge. 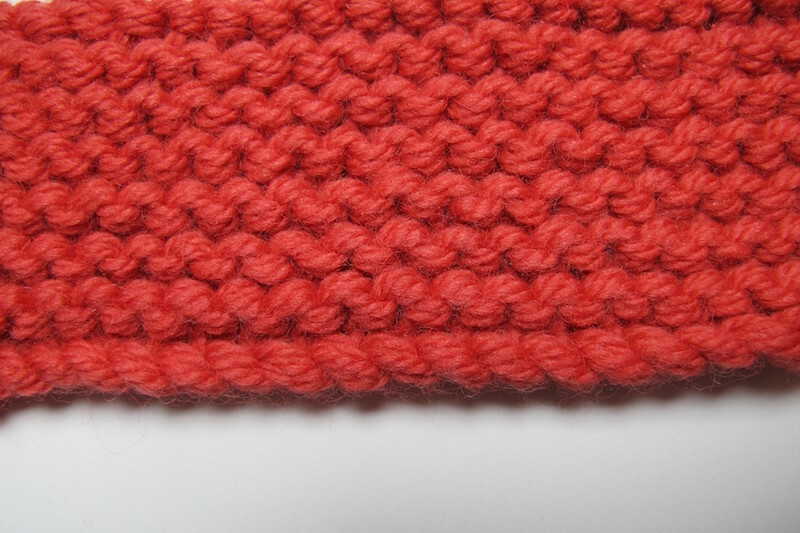 If you want a clean edge in your stockinette stitch fabric, use the (standard, knitwise version of) Long Tail cast on method and purl the first row. If you’re working in the round, this happens naturally. Or, heck, get clever and use the purlwise variant of the Long Tail method and then knit the first row. 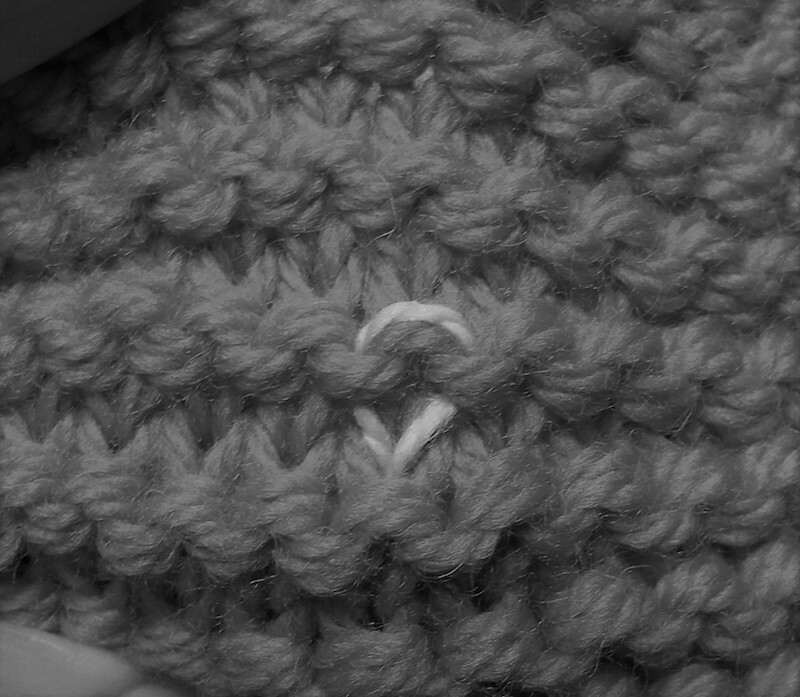 In the swatch below, I used two different version of the Long Tail method, and then knitted the first row. The smoother loops on the right were created by using the purlwise variant of the Long Tail method. On the left, the bumps happened because I used the standard, knitwise version of the long tail cast on..
Weird subtlety/controversy #2.1: This means that two knitters could produce fabrics that have the same number of garter ridges but different numbers of rows worked. Yes! Bonkers! But it absolutely doesn’t matter. You can’t really see individual rows in garter stitch, so as long as you’re consistent within a given project, you’ll be fine. It’s all about the ridges. There’s a lot of counting in knitting. I have always been confused about counting the cast on row. Thank you for clearing that up. 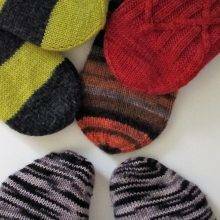 Really helpful article – I understood counting rows in stockinette, but the subtleties of the purl side counting and that of garter were more elusive. 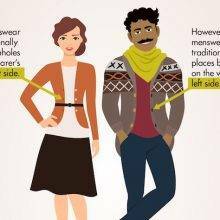 I really appreciate the level of detail in your discussions and it fills in gaps in my knitting knowledge that sometimes i didn’t know were there. I would love to see a discussion of this sort on increases and decreases and the pros and cons of working them. Hello! Yes, I’m utterly and horrendously embarrassed about that typo in the book. I had posted about it in my Ravelry group, but news has clearly not travelled far enough. It should be work through the FRONT loop. 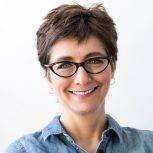 Great article and something new to learn – long tail cast on purl wise. Who knew! !thank you!! Oh my. Long tail cast on purlwise. Thank you so much! I am now unbaffled! I LOVED this! I am continually arguing with myself about controversy #1. Yes, with me! Thank you! (Now I’m arguing about changing it to “me,” poetic license won. Mostly.) Also, I never knew about long tail CO purlwise… will definitely google that one (cause it would save me a row of knitting, well technically of purling – not that I mind doing either since I enjoy doing this knitting thing, but it’s another internal discussion, or at least used to be, but by now I have my rule. Mostly. 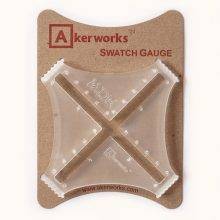 What is that cool measuring tool you are using? It looks like it makes isolating the rows and columns very easy. So helpful. But right now, I have to count in a twisty cable pattern. Seems to be kind of a crap shoot as to whether I get this right. Any tips? thanks!! 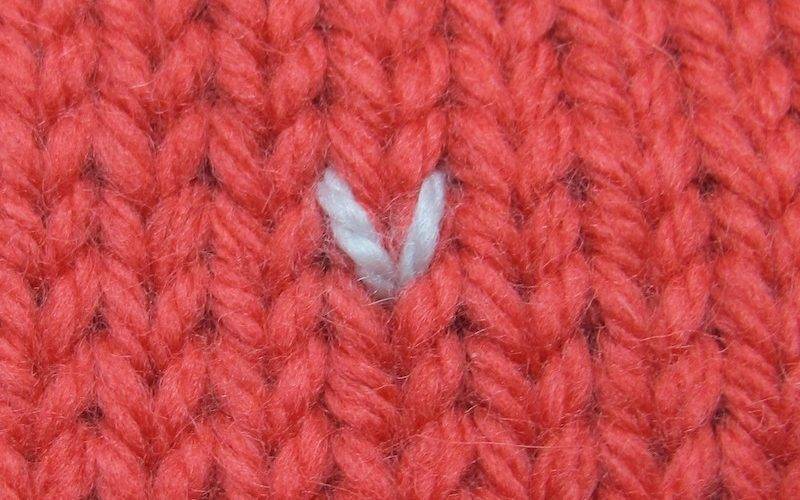 Can you count ribbing or background stitches? 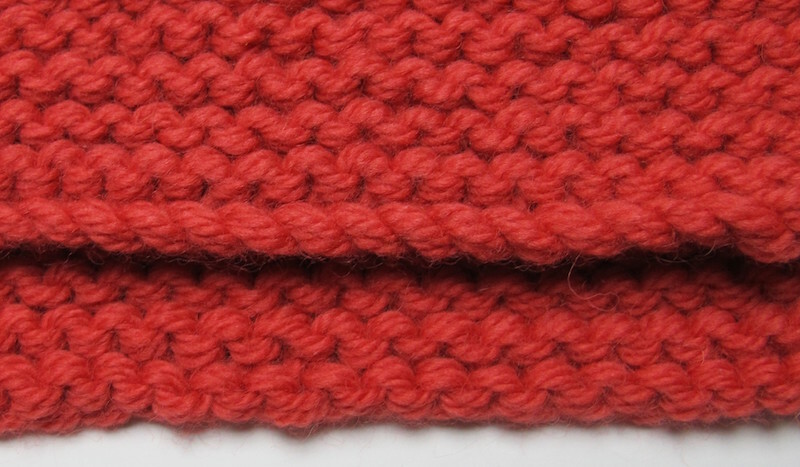 You shouldn’t ever have need to count stitches in a cable pattern, since you know how many stitches are in each repeat of the cable, so you just count the in-between/background stitches. When you need to count rows, count in an area that is ribbing, stockinette or reverse stockinette. ooo –thats a thought. thank you! I’m glad to have the definitive word on whether to count the stitches on the needle. Had this debate several times. With myself. Yes, that was my only question about counting. Thanks so much for this article. I’ve always wondering when to start counting and if the stitches on the needle were part of the count. This article clears up all of my questions. I use the very high tech ‘pen and paper’. I make a string of boxes according to how many rows I need. Finish a row – fill in a box. Has worked well for 40 years. JEN- I myself use this high tech method. I am glad to know that there are others out there! I confess that for things like baby sweaters, I also use the clasdic” does this look long enough, the baby is due on next Tuesday” method for the straight parts! This is exactly the kind of knit knerdery that I love. Thanks, Kate! Lots of great info in here. Thanks Kate! The tool in the photo for isolating a row of stitches looks like it would be very useful. I’ve never seen it before. Sometimes I have trouble counting the V’s because they start to blur. I have found it helpful to focus on the right leg of the V and count those. I have also been known to take a photo with my phone and enlarge it so that the V’s are clearly visible. Thank you so much for this wealth of information! Wonderfully clear and well presented. Great photos! I can’t remember where I read this tip, but instead of counting every stitch, you go by 2s then 3s (which add up to 5s), so “2, 5, 2, 10, 2, 15, 2, 20…” It’s fast! 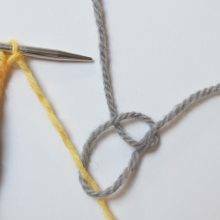 I’ve been attempting to learn how to knit recently and this post is so helpful!